Title: Measuring Reproductive Autonomy: Are the questions different for Adolescents and Young Adults? 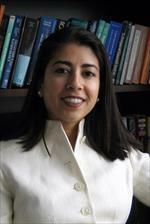 Abstract: Ushma Upadhyay, PhD, MPH will discuss her previous work developing the Reproductive Autonomy Scale, which has been mainly used among adults. Her current work focuses on understanding reproductive empowerment among young people, and the development of a new psychometric measure of Sexual Health and Reproductive Empowerment for Young Adults (The SHREYA Scale).